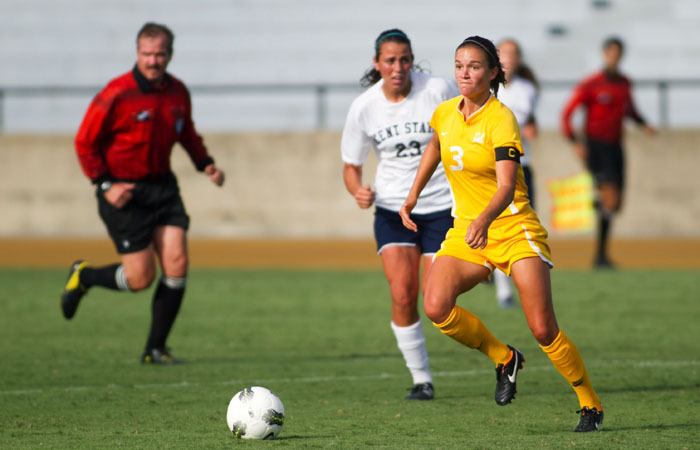 Senior striker Katie Benz, who leads the No. 17 Cal women’s soccer team with 10 goals, broke her leg in the 61st minute of today’s match against Santa Clara. Benz suffered the injury after a rough tackle from a Broncos defender. The Santa Clara player was not carded. Although it is not clear of the extent of the injury, Cal coach Neil McGuire confirmed that Benz will be out for the remainder of the season.